Delphin LogMessage LM5000 Data Logger devices are specifically designed as universal data loggers. 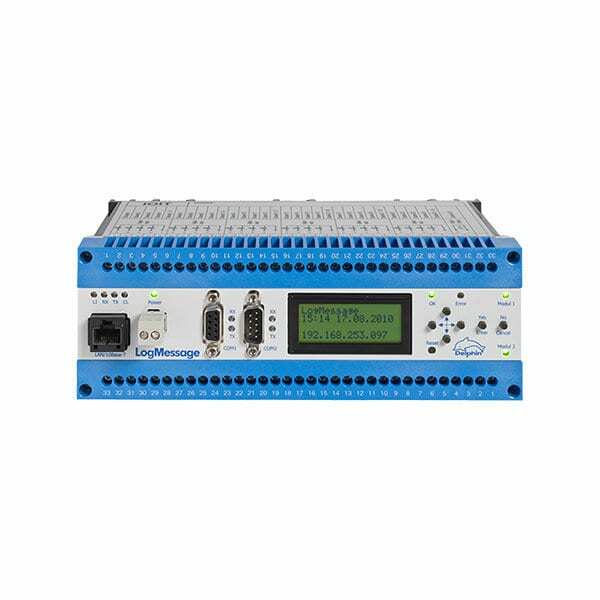 The LogMessage LM5000 works completely independently as a data logger for acquiring, monitoring, computing and storing measurement data. The internal data memory allows continuous recording of up to 250 million samples. LogMessage is available in nine different styles. ProfiSignal Go is the basic software, used for online/offline monitoring and measurement data analysis. Just three steps are required to display measurement data as trends, to analyze the data, and to evaluate offline data. Systems are delivered to match user requirements: e.g. long-term monitoring, machine monitoring, or remote monitoring. LogMessage data loggers are universal. The devices function intuitively making it easy to configure inputs, to save data, and to display data as trends. LogMessage devices are designed for permanent operation and can be depended on to perform reliably over the long term. The LogMessage’s data storage capability enables it to function without PC or network support. LogMessage devices are suitable for both slow- and high-speed measurements. Time resolution for analog measurement data is at 100-μs precision levels; digital resolution at millisecond precision. The devices are equipped for precision measurement with 24-Bit ADCs. LogMessage devices are equipped with internal web servers. The standard version displays current measurement data in a channel list as well as extensive configuration and maintenance information. In combination with the ProfiSignal WEB option, views can be generated and loaded into the LogMessage in HTML5. Software channels are capable of performing computations on online measurement data, and used for visualization, storage or monitoring purposes. The processing of signals takes place independently within the LogMessage device and requires no PC support. There is virtually no limit on the number of software channels that can be used. Software channel computations run parallel to data acquisition and logging. Software channels are included in delivery.